After a decade of slow self-education in cinephilia, I’ve finally sat down and watched an Ozu movie. These happy folks are travelling to the city to visit their children and grandchildren. It’s implied that they won’t make the trip again, then right after they get home, the wife dies. The kids aren’t very receptive, can’t be bothered to break away from their daily lives and jobs and make time to treat their parents with respect and attention. Their daughter-in-law, though, wife of their deceased son, takes them in, takes time off work to entertain them, and is the one who seems saddest at the wife’s funeral. Nicely paced, very well told story. Liked it surprisingly well… figured it’d be an overlong slow-paced thing full of symbolism I don’t understand… but it’s just a modern family story. 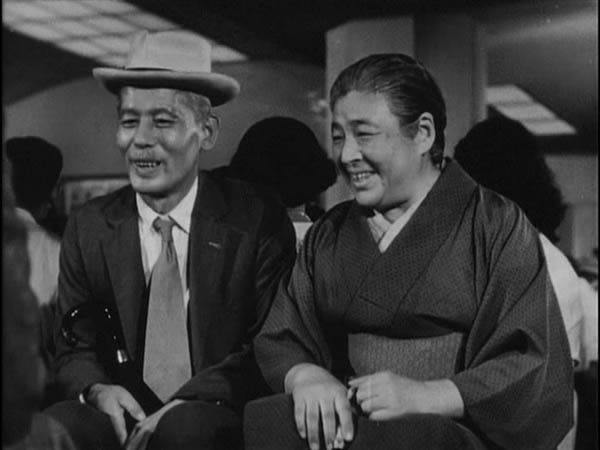 Apparently all of Ozu’s films are modern family stories, each just like the last, and all just as good. Looking forward to finding out for myself. Listened to thirty minutes of the commentary before my burned DVD crashed the computer and I gave up. Remember allll the shots have those low camera angles demonstrated by the cinematographer in Tokyo-Ga. He says something about ellipses in continuity, how actions are implied but not shown and how characters names and positions are slowly revealed instead of being explained up front… viewer has to pay closer attention than usual to figure out what’s happening. 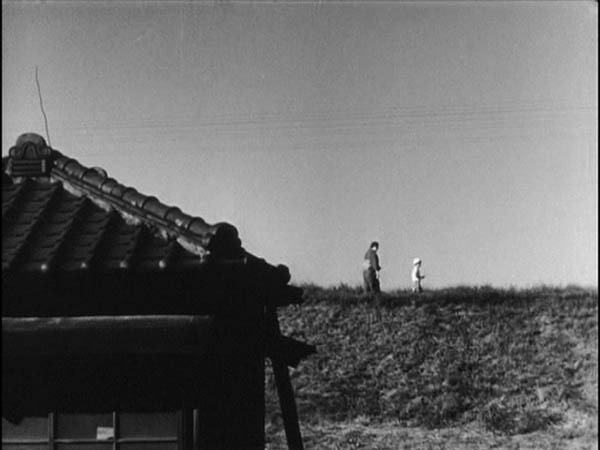 Says Ozu’s signature dialogue is “It’s a beautiful day”, said twice in this movie. Setsuko Hara (the daughter-in-law, above) was “one of the genuine superstars of Japanese cinema”. Wenders’ Until the End of the World is a tribute to Ozu (maybe I won’t hate it next time after I’ve seen a few Ozu films). 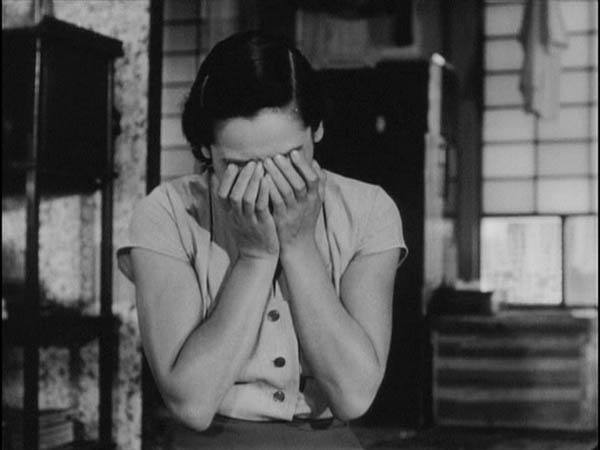 Tokyo Story is sometimes seen as a remake of Leo McCarey’s Make Way For Tomorrow. And Ozu makes “mini documentaries of Japanese middle-class life”. Katy didn’t watch it. Can’t even guess if she would’ve liked it or not. EDIT 2015: Katy liked it.